Home theater projectors are much common these days and all big brands including Sony, Samsung, InFocus, BenQ, and Optoma have home theater projectors supporting 2D and 3D outputs. Whereas finding 2D projector for home is not a much difficult task today, finding the best 3D home theater projectors can be difficult. When looking for the best 3D home theater projectors, you need to consider a few things including HD resolution. 3D projector is nothing if it does not support high definition formats and if it does not have the capability to comply with 1080p and 1080i HD resolutions. Apart from these, you should look at the resources from which you can connect it; for example, if it has HDMI support, PC connectivity, wireless connectivity, SD card support, etc. so that you can use it as you need. Most of the home theaters are built with all facilities like a cinema hall but there are some that are no more than a dark room with some scope of ambient light as well. So, when selecting the best 3D home theater projectors check the brightness level and lumens as well and choose the one that has good brightness and lumen so that it can give better quality in both dark room and room with ambient light. With the onset of 3D projectors, home theater experience essentially includes 3D. And the best 3D projectors in the market, shortlisted by us, bring you that same cinema standard 3D that you buy tickets for. Two of the projectors on the list are by Optoma, namely HD142X and GT1080 Darbee. The good thing about GT1080 Darbee is that it also handles gaming quite well. Both the projectors are based on DLP projection technology and project a 1080p picture. However, the two differ on Lumen count as the Optoma HD142X has 3000 lumens, whereas the GT1080 Darbee has 2800ANSI lumens. However, the latter has a better Contrast ratio of 25000:1 whereas the former has 23000:1 of the same. 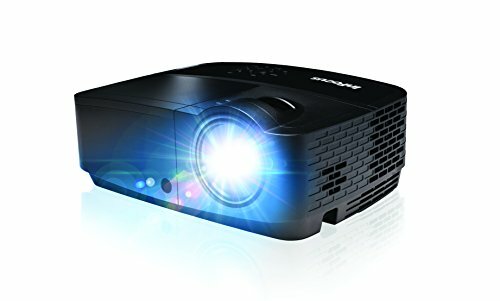 Both are short throw projectors, but the GT1080 Darbee has an Ultra-short throw of 0.49:1, making it ideal for gaming and watching movies in living room with a lesser space. Connectivity offered by both is almost the same i.e via MHL, HDMI, VGA, USB A and B and 12V trigger. The two are also capable of reproducing the REC 709 Color standard by up to 99%, resulting in a rich, vivid display. One of the bestsellers, the PJD5155 by ViewSonic is another optimum option to be considered. Although the resolution here is 800 x 600 SVGA, the projector does support up to 1080p resolution. The picture is vibrant enough with ViewSonic SuperColor Technology and brightness is also well balanced with the Lumen count and Contrast ratio of 3000ANSI and 20000:1 respectively. Other than MHL, the projector offer all the usual ways of connecting with your routine electronic devices. 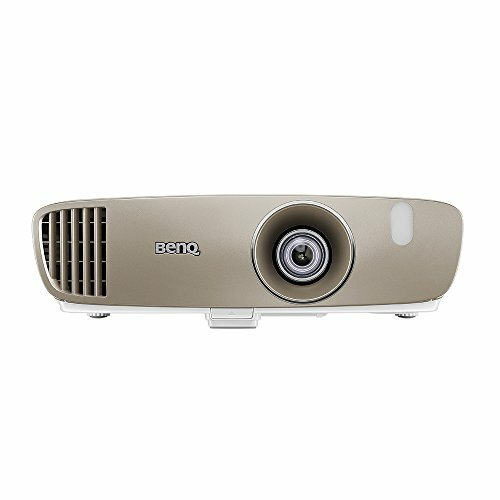 The quest for great cinematic grade experience under affordable price ends with the introduction of BenQ HT2050 3D projector with All-glass cinema grade lens and RGBRGB Color Wheel for maximum REC 709 color imitation. The machine has been powered by DLP technology which is well known for creating a realistic picture. Lumen count this projector offers is 2200 and Contrast ratio you’d find here is 15000:1. Short Throw is another strong point about this projector and the projector can be connected with various devices even in tight spaces, with the help of HDMI, USB, VGA, 12V Trigger, RS 232 ports. 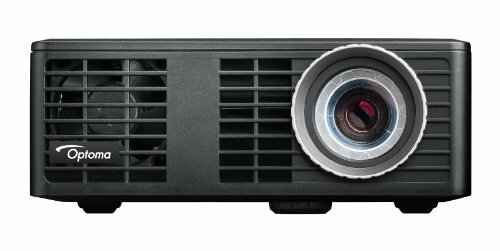 Those with an even bigger budget would definitely narrow down to the Epson Home Cinema 5040UB which is an incredible 1080p 3D projection powered by 3LCD technology. Color retention and refined picture quality was the ultimate motive behind the company launching this projector and it does achieve it with the help of HDR and a wider color gamut. The projector also features 4K enhancement which brings you extreme ultra-high definition per pixel. Factually, the projector has 2500ANSI lumens and 1,000,000:1 Contrast ratio to produce an experience that’s out of this world. And featuring abundant ways to connect, this projector has LAN, HDMI, MHL, USB service, VGA, RS 232C, Trigger Out and more.